In a city like Los Angeles, cars are just as big of celebrities as people. 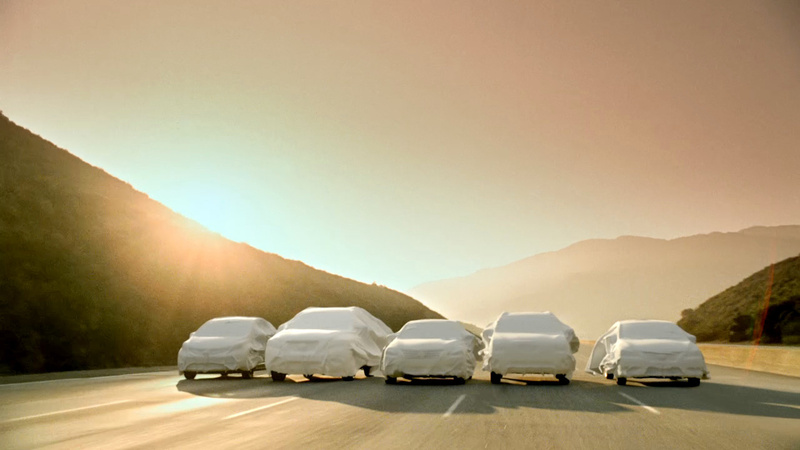 Directed by Stylewar, this 'Nissan Unveiling' spot by TBWA\Chiat\Day, places the company's premiering vehicles on every car's dream red carpet - the road - with a twist. Draped in entirely CG red cloth, five of Nissan's new 2013 models redefine the art of seduction. VFX by The Mill. "The spot showcases vehicles which have not been revealed or even been built yet, which was a true creative challenge" shares 3D Lead Artist Josh Hatton at The Mill "The idea was to cover the cars in luxurious red silk allowing us to create intrigue without actually showing too much." The mystery weaved into the storyline and the elegance of the execution creates a masterful spot in which the cars become real characters.